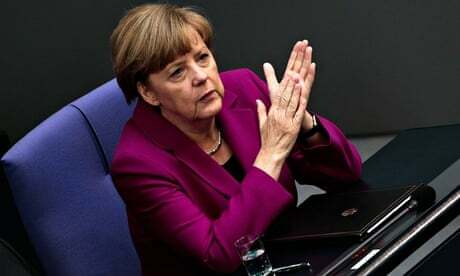 The strikes sweeping Germany are here to stay | Wolfgang Streeck | Comment is free | The Guardian. German strikes once seemed like German jokes: a contradiction in terms. But no more: this year, Europe’s largest economy is on course to set a new record for industrial action, with everyone from train drivers, kindergarten and nursery teachers and post office workers staging walkouts recently. The strike wave is more than a conjunctural blip: it is another facet of the inexorable disintegration of what used to be the “German model”. Good economic conditions play a part, but unions in the thriving export industries are not the ones that are striking these days. Strikes cluster in domestic services, especially the public sector, and indications are that they are here to stay. In the old days, the powerful unions of the metalworkers set the pace for wage increases throughout the economy. But the last time IG Metall went on a nationwide strike was in 1984. In the 1990s, its members, in particular those in the large car factories, learned the hard way that manufacturing jobs could more easily than ever be moved abroad, to China or the formerly communist eastern Europe. International competition is now no longer just about market share, but also employment. It did not take long for the union leadership to notice this. Fear of unemployment, incidentally, accounts also for German manufacturing workers’ unwillingness to contribute to macroeconomic balance under European monetary union by pushing for higher wages in order to bring down the German export surplus. Today, the action has shifted to services, where job export is more difficult. But other factors also account for the rise of industrial disorder. Since unification, public employers, in pursuit of fiscal consolidation, have broken up Germany’s peculiar public sector collective bargaining regime, which covered everyone from refuse collectors to professors and generated, essentially, the same yearly wage increases for all. Moreover, several occupations – including train drivers, teachers and postal workers – lost the uniquely German employment status of Beamter, of civil servants without a right to strike but with lifelong tenure and guaranteed pay raises in line with the rate of economic growth. Furthermore, progressive privatisation of public services, combined with unemployment and the de-unionisation that came with it, increasingly placed public sector wages under competition, leading to hitherto unknown problems for trade unions, caused by what was rapidly becoming a two-tier wage system. Another development that contributed to industrial conflict was the rise of new occupations, especially in childcare and care for the elderly. Government rhetoric on the indispensability and moral virtue of their work notwithstanding, they tend to be poorly paid and their employment is often precarious. Care workers have to seek their place in a wage structure that is profoundly in flux. Unless they organise – for which they can turn to Verdi, the vast public and private service sector union – they may have to make do with the warm words of politicians who, hard-pressed to balance their budgets, will not necessarily follow up with pay and employment conditions in line with the skills required for quality service in the new occupations. Add to this the fact that technological progress offers employers opportunities to put pressure on previously privileged occupations, such as airline pilots, air traffic controllers and train drivers. Typically, they are asked to accept lower pay, inferior working conditions and less secure employment on the grounds that their jobs are being deskilled by advancements in information-processing technology. In the longer run, they may even be made redundant altogether – a prospect that paradoxically contributes to wage militancy as severance pay and unemployment benefit are calculated on a worker’s final wage. All of this results in a broad erosion of formal and informal wage norms that for several decades kept the peace in German capitalism. Rising wage differentials and a changing occupational structure cause potentially explosive disagreements on relativities. Where there used to be equal increases for everyone, following the settlement in the metal industry, there is stagnation in exposed sectors and declining wages in large segments of the service sector. Another part of the picture is enormous, Anglo-American-style increases in top management salaries, especially, but by no means exclusively, in finance. This in a country where income differentials between workers and management used to be low. Skyrocketing managerial pay is out of joint with the experience of the vast majority of households, who suffer not only from stagnant or declining wages and deteriorating employment conditions, but also from cuts in public services and benefits. This makes appeals to workers for wage restraint for the benefit of the public and the economy sound hypocritical to many. As cracks in its economy widen, is Germany’s miracle about to fade? The German wage-setting system is approaching a condition of normlessness, similar to what Britain experienced in the 1970s. 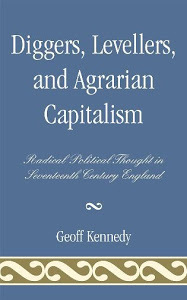 Then, the Oxford sociologist John Goldthorpe diagnosed a state of industrial anomie: a fundamental absence of consensus on legitimate principles of distribution between capital and labour, as well as between groups of workers. The German government, with its social-democratic labour minister, is trying to suppress surging industrial conflict by curtailing the right to organise and strike by making strikes of sectional trade unions – like the train drivers – illegal. But this will fail, very likely in the constitutional court and certainly in practice, in a world in which the structure of firms and sectors is no longer supportive of industrial unionism and its doctrine of “one workplace, one union”, and where train drivers, pilots and others will feel entitled to defend themselves if necessary by going on strike, whatever the law may say. Excellent article. I always wondered why German workers were making sacrifices which led to over-competitive wages and a massive trade surplus that has plagued the euro-zone. Now I know: free trade. With free-trade globalization, workers in developed countries that might make $20/hr with benefits for an unskilled labor job now compete with with workers getting paid $2/hr. So although wealthy shareholders and corporate executives make a killing exporting jobs to undeveloped countries, there’s a big problem: demand. Workers in undeveloped countries are not buying goods and services they make or other ones sold to people in developed nations (that may have global supply chains.) In the above example, there’s $18/hr worth of demand that is destroyed. Although real incomes were “moderated” (lowered) by central banks from the mid-1970s to the late 1990s, the dot-com and derivatives meltdowns also created recessions that drove down real incomes. This process will continue, whether the pseudo technocrats at central banks want it or not. The New Keynesian and New Classical economists governing this train-wreck-in-slow-motion, appear to believe that if markets in Western countries are destroyed, the world can always sell to the growing middle classes of emerging countries (with a comparable population to the Western middle class.) Of course, the new middle-class workers depend on exports to developed countries for their incomes. Which is to say, there can only be one outcome unless we change course: global economic collapse that will dwarf the Great Depression.